Published: Sept. 28, 2014 at 04:04 p.m. Updated: Sept. 28, 2014 at 04:35 p.m. Idle Oregon moves into the top spot as Pac-12 teams experienced some shakeup. Despite receiving just one first-place vote, Oregon is the new No. 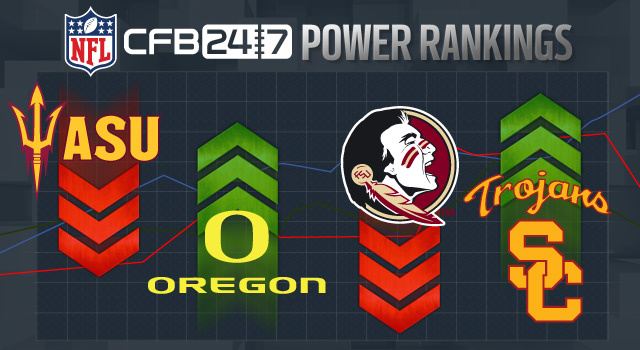 1 in this week's CFB 24/7 Top 25 Power Rankings. Florida State, just one point behind, fell to No. 2 for the first time this season. 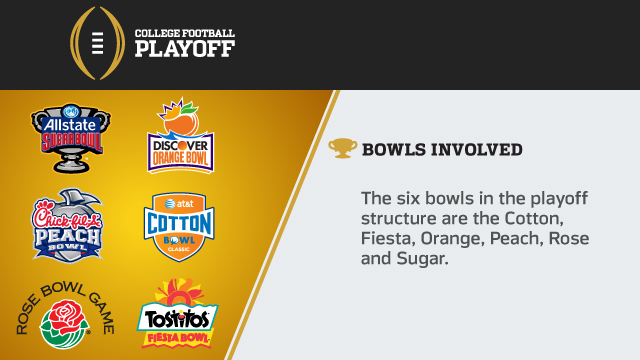 How close is the seed positioning for the College Football Playoff? While there is a defined and consistent four teams, only five points separates Oregon (165) from Oklahoma (160), the fourth-place team. Skinny The Ducks were off this weekend. They play Thursday against Arizona, which hammered them last season. The skinny: Jameis Winston looked good in his return from a one-game suspension. The defense has issues, though: FSU allowed 132 regular-season points in 2013 but already have surrendered 101 this season. The skinny: The Tide were off and visit unbeaten Mississippi next weekend. The Tide has won 10 in a row and 21 of the past 23 against the Rebels. The skinny: The Sooners had the weekend off and play at unbeaten -- but untested -- TCU next Saturday. The skinny: The Tigers cruised past Louisiana Tech and get another team from Louisiana -- LSU -- visiting next weekend. 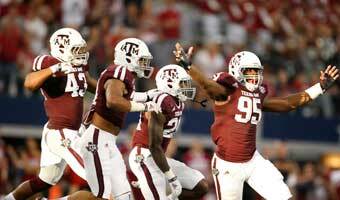 Skinny: Things looked bleak for the Aggies in the fourth quarter against Arkansas. But they rallied from 14 down to win in overtime, and now face a trip to Mississippi State. The skinny: How good are the Bears? It's hard to tell: They haven't played anyone. They're at Texas next weekend. The skinny: The Irish have scored at least 30 points in the first four games of a season for the first time since 1943, when they won a national title. But can they score 30 against Stanford next weekend? The skinny: The Spartans will welcome in Nebraska next weekend in what has turned into perhaps the most important Big Ten game of the season. The skinny: The Bruins smashed Arizona State in a key Pac-12 South game on Thursday. We're already looking forward to when Oregon visits L.A. on Oct. 11. The skinny: The defense has been dominant, allowing just 26 points in four games. But the offense has not been that impressive. 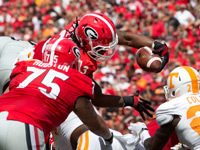 The skinny: The Bulldogs' defense was mighty spotty -- again -- in a three-point win over Tennessee. But Todd Gurley came through, and that was enough for a win. The skinny: The Rebels can make a huge statement -- huge -- when Alabama comes calling next weekend. The defense is good enough, but the offense is a big question. The skinny: The Bulldogs bullied LSU on Sept. 20, then were off this weekend. Next weekend, high-powered Texas A&M comes calling. The skinny: It's still hard to believe USC lost to Boston College -- and was outrushed 452-20. The Trojans' defense looked good in a win over Oregon State on Saturday night. The skinny: QB Taysom Hill looks to be a legit Heisman candidate. And a 12-0 season beckons. But that schedule impresses no one. The skinny: A quarterback change seems likely for the Tigers, who will try to avoid an 0-2 start in SEC play when they travel to Auburn next weekend. 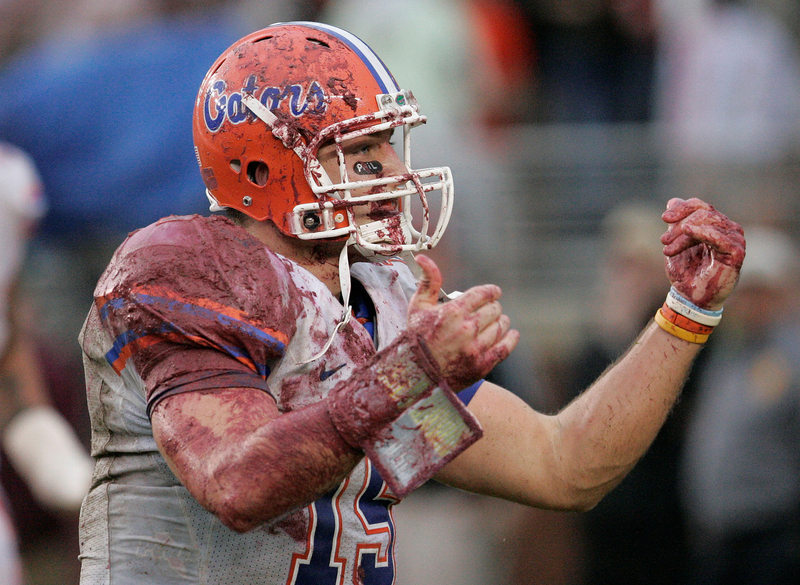 The last time LSU started 0-2 in the SEC? It was 2001, when Nick Saban was coach. The skinny: The Badgers yawned their way through the first half this weekend against USF. But they awakened in the second half -- well, Melvin Gordon awakened, anyway -- to win by 17 after a halftime tie. Check out the alternate college football uniforms worn during the 2014 season. 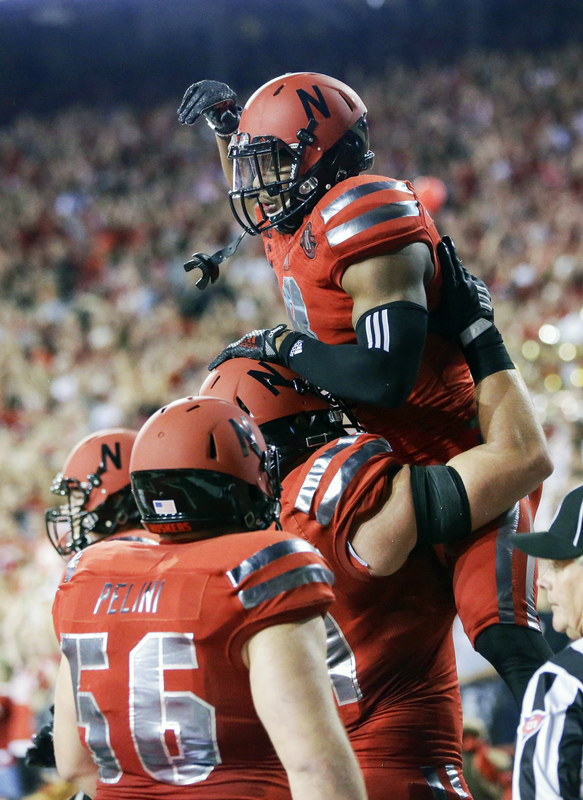 The skinny: Senior TB Ameer Abdullah has three 200-yard games this season and will need to be at his best when the Huskers play at Michigan State next weekend. The skinny: The Buckeyes rolled up 45 first downs -- seriously, 45 -- in beating up on Cincinnati this weekend. Next Saturday's trip to Maryland could be interesting, though. The skinny: The Pirates, who were off this weekend, are sixth in the nation in pass offense. Their next three games come against teams who currently have losing records. The skinny: Using a backup quarterback didn't cause a problem for the Cowboys, as they downed Texas Tech on Thursday. Next weekend shouldn't be a problem, either, with Iowa State coming to town. The skinny: QB Taylor Kelly's absence hurt in a loss to UCLA. When will he return? The Sun Devils play at USC next weekend. Take a look at the great players, coaches and teams that have shaped the history of college football. The skinny: True freshman QB Deshaun Watson had an auspicious debut as a starter, throwing for 435 yards and a school-record six touchdowns as the Tigers whipped North Carolina. He should be able to light up North Carolina State next weekend. The skinny: The Wildcats will be trying for their second consecutive win over Oregon when they travel to play the Ducks on Thursday. Voters in the College Football 24/7 Top 25 Power Rankings include: NFL Media analysts Gil Brandt, Bucky Brooks, Charles Davis and Daniel Jeremiah, and CFB 24/7 writers Bryan Fischer, Chase Goodbread and Mike Huguenin.